Program by MK Oren Hazan would offer tax deductions to minority towns with high levels of enlistment in IDF. A new bill drafted for the Knesset by a Likud MK aims to encourage minority enlistment in the IDF and national service by granting tax deductions to minority towns with a high enlistment rate. According to the explanatory section of the bill, which will be submitted by MK Oren Hazan (Likud) at the start of the Knesset's winter session, the legislation aims "to encourage different groups in Israeli society to integrate" and "to anchor the life pact between the State of Israel and the minorities who are working to build and defend it." Towns with non-Jewish minorities that have an enlistment rate of over 70% on average for three years would fall under the purview of the legislation. The bill also calls to establish an official day of recognition honoring the minorities who serve in the IDF and national service, which will include discussions in the Knesset and in the education system. 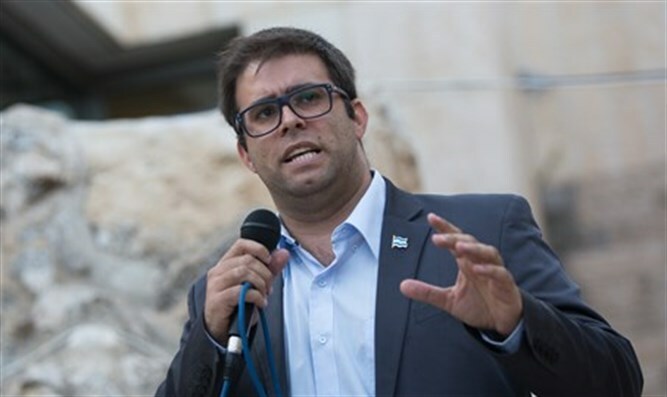 MK Hazan, who drafted the bill in collaboration with the Zionist organization Im Tirtzu, said that "Israel is and will remain a Jewish state, but we cannot forget the minorities who have tied their fates together with the state." "In these days, when the schism in Israel is growing due to a lack of understanding and mutual responsibility," continued Hazan, "I saw it fit together with my friends at Im Tirtzu to heal the rift by recognizing the contributions of minorities in Israel." Matan Peleg, CEO of Im Tirtzu, stated that the legislation aims to "translate the recognition of Israel's minorities into palpable actions." "One cannot survive in the Middle East without properly recognizing our allies who have tied their fates together with us. This needs to occur not only through talk, but through actions as well," said Peleg.